Riley Law Office is located in historic downtown Belton in the county seat of Bell County, just one block from the Bell County Courthouse. 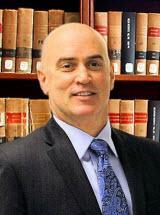 I handle a range of legal matters, including criminal defense and personal injury. I offer responsive representation to my clients. When you come to me with a legal concern, I take quick and effective action to protect your interests. I stay in touch throughout the process until your legal matters are resolved, so you will always know what is going on with your case. As a former lab analyst for a mineral company, I became a lawyer as a second career. I bring the keen analytical skills that I established as a scientist to the practice of law. I graduated from Texas Wesleyan University School of Law, was admitted to the State Bar of Texas in 2011 and founded my law firm right here in Belton, the town my family has lived for generations and where I have raised my family. Contact me at 254-233-1079 for a free and confidential consultation with an attorney. Credit cards are accepted. I meet people 7 a.m. to 6 p.m., Monday - Friday and by appointment after hours and weekends. Most confidential consultations take place at Riley Law Office in Belton. I also travel to meet clients, as necessary.